A former British soldier faces murder charges over the killing of two people on Bloody Sunday in Londonderry in 1972. He also faces charges for the attempted murders of Patrick O’Donnell, Joseph Friel, Joe Mahon and Michael Quinn. Thirteen people were shot dead at a civil rights march on 30 January 1972. 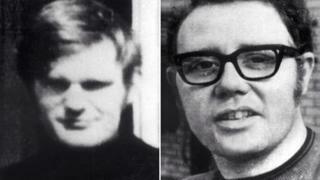 James Wray’s brother Liam said he was “very saddened for the other families” of those killed on Bloody Sunday. Director of the PPS Stephen Herron said: “It has been a long road for the families… and today will be another extremely difficult day for many of them. “Consideration will now be given to allegations of perjury in respect of those suspects reported by police,” he said. UK Defence Minister Gavin Williamson said the government would offer full legal support to Soldier F – including paying his legal costs and providing welfare support.